Over the years Anita and I have helped 1000’s of innocent victims and their families who have contracted Mesothelioma and Lung Cancer from Asbestos exposure. We understand what it takes to care for the victim of this terrible disease. The late at night hospital stays to be close to a loved one and the feeling of complete hopelessness. You are not alone. We have visited those hospital rooms and the homes of families caught up in this 20th century miscarriage of justice. Working men and women, who, through no fault of their own, now confront a disease where no cure has been found. We understand the pain and suffering and we are furious that this type of law has to be practiced and that these types of diseases even exist. Alan and I are very sensitive to the complex problems and medical issues facing every asbestos victim we see. 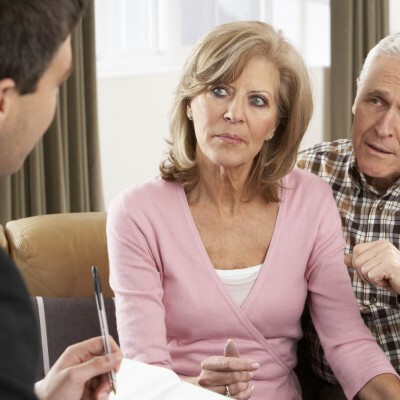 Most of our clients were in fairly good health, retired or looking forward to retirement and spending time with their grandchildren and family. Then, all of a sudden, from out of the blue, the asbestos dust and particles lying dormant in their lungs become a full-fledged life threatening disease. Years and years later, they get sick, when they should be enjoying the twilight of their years. What do I do? Who do I turn to? Why did I deserve this? How will my family cope? How is everything doing to turn out? I can’t believe this has happened to me. We understand the emotion trauma and we also understand our relationship is not just attorney, client. Asbestos diseases touch everyone who comes in contact with it. Family, friends, doctors, nurses and even lawyers. We believe that on your side and at your side is the best place we can be, to offer guidance and advice to you and your family. We have developed this website for that purpose, so you and your family can understand the medical, was well as legal issues facing you. If you have any additional questions, this site does not address, please feel free to give us a call. We are here for you at no charge…. Our results speak to our diligent efforts and experience, both in the courtroom and at the negotiation table, for those exposed to asbestos who are now dealing with its negative effects decades later. We have more than 50 years of combined legal experience handling over 4000 mesothelioma and asbestos-related cases, and are committed to obtaining the best possible results for every client. With over $135,000,000 recovered for our clients we have tried to make right the wrongs committed by others.